PicturePanels are soundproof acoustic art panels wrapped in graphics, images, logos, fine art, vintage images, school emblems, photography and more. The design options with these sound fabric panels offers limitless beauty, combining to produce both a collapse in perimeter noise within a space, as well as a stunning visual presentation to the room. 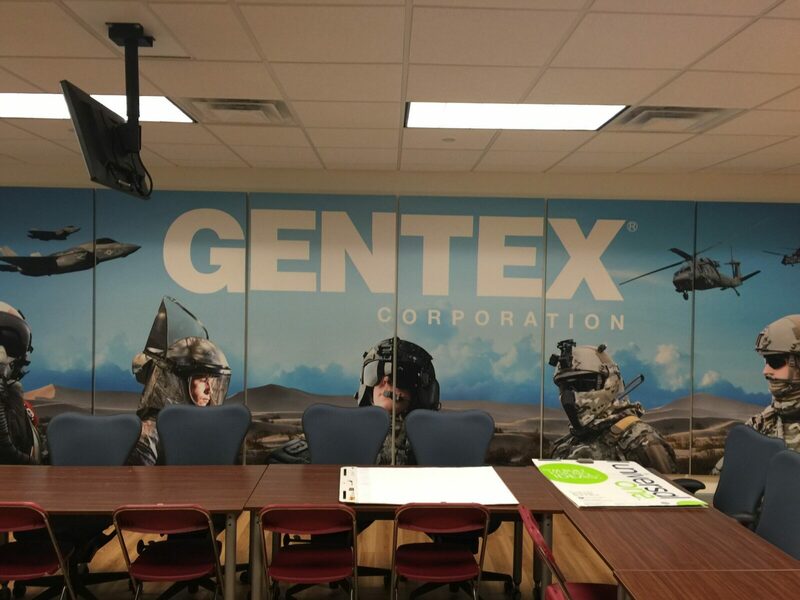 The PicturePanel systems can be wall or ceiling mounted, the imagery can print onto single panel systems, or images can carry across multiple panels to generate decorative murals that carry across the expanse of a wall or ceiling surface. PicturePanels can be wrapped in graphics to brand your office space. 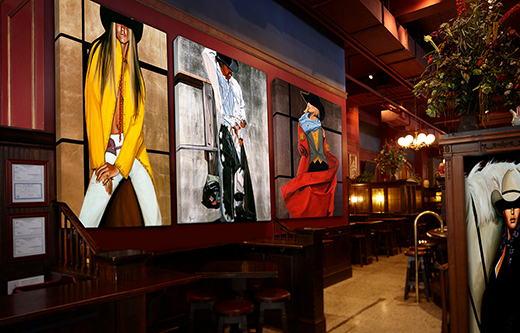 They can be wrapped in photography and artwork to match the design to your restaurant space. They can also be wrapped in images of stone, brick, and various surface textures to make your wall or ceiling look stunning. 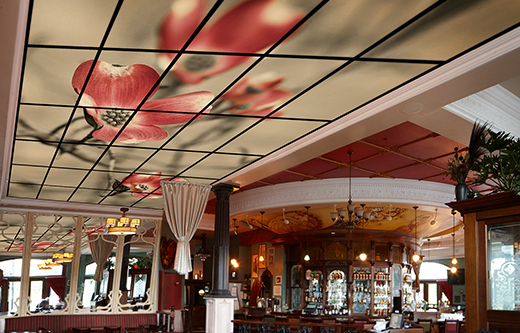 Images the size of billboards can carry across the expanse of ceilings or walls to produce the ultimate combination of beauty and quiet. These acoustic art panels are a virtual feast for the eyes, and also serve to protect the acoustics in your room. Your logos, your images, your graphics, can all be printed onto the face of our soundproof panel system. The ultimate in Art controlling Echo. PicturePanels are custom quoted based on the size and scope of your project. Many clients opt to wrap a portion of their panels in imagery, and the balance of their panels in solid color as Fabric Acoustic Panels to compliment the treatment and control the price points. To quote your project, call our help desk at 1-800-638-9355 or submit a Room Analysis form. 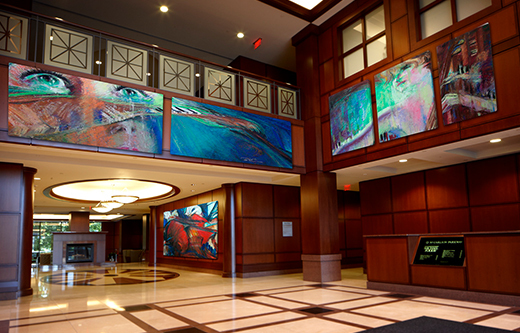 PicturePanels can also receive custom art or image printing and be dropped into a ceiling tile grid system to create a decorative mural that expands across the ceiling. They can also be printed onto the face of Clouds that would “float” out over your room. 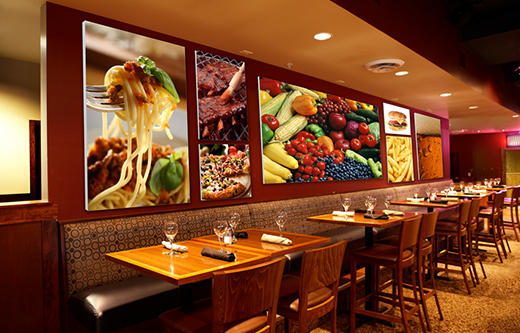 For wall mounted murals, one image can carry over many panels evenly staggered for a visual wow factor. The use of our acoustic art panels is limitless in design, be sure to check our Case Studies Library for images of our various sound panel projects. We will guide you with image selection and soundproof panel cropping for your PicturePanel treatment. Instruction for image submission is available by calling our help desk. We typically look for a minimum of 180 dpi and as large a file size as possible. Note when submitting images, that we end up cropping them to the panel dimensions targeted for the treatment, so we will work with you to build the list of panels that best match to the dimensional shape of your image(s). Also note that many clients opt to mix/match with solid color panels to save on cost. Fabric Acoustic Panels are the same product, come wrapped in solid colors to compliment your acoustic art panel presentation. Our acoustic art panels are built in stages. First, we run proofs for you to approve on how the images will be cropped to your panel dimension. Upon approval, we print the canvases and deliver to our panel team. 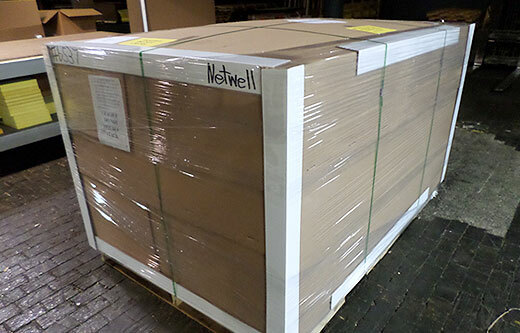 There, they cut the panels, wrap with the image covers, and carefully pack them for shipment. Average turn time for a PicturePanel acoustic art panel project is 4-5 weeks + shipping time. Please be sure to inspect your panels upon delivery and sign for anything that may have been damaged in transit. Our popular Room Analysis is complimentary. This innovative tool is designed to define the framework for your treatment using soundproof panels and quote your project back to you. Remember that the key to making your acoustic values happen is to ensure that we do not under treat your space. Whether solid color panels or image wrapped panels, we need accuracy with our coverage amounts. Use this tool to submit room size and we will calculate your coverage and quote your project back.